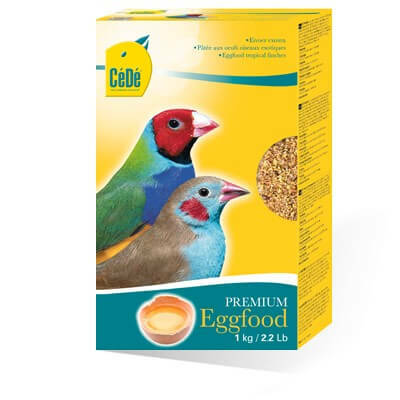 Emp eggfood is a broadly based well balanced eggfood for cage and aviary birds. 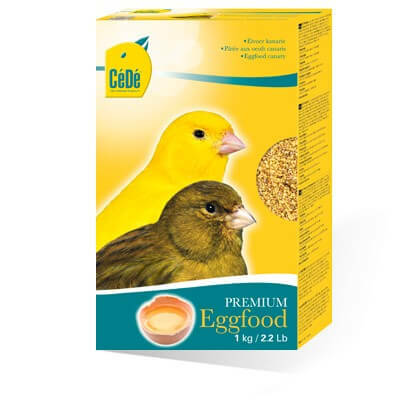 Emp is blended with the finest quality ingredients including real egg. 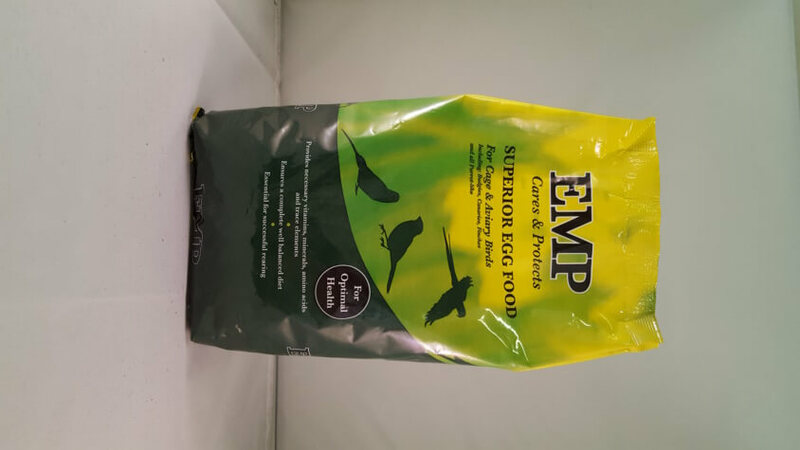 Emp has been scientifically formulated to provide all the minerals (including selenium, a necessary mineral often lacking), vitamins and other nutritional requirements necessary for ensuring your birds good health. During the moulting period feed Emp daily to aid feathering and to bring your bird back to peak condition. 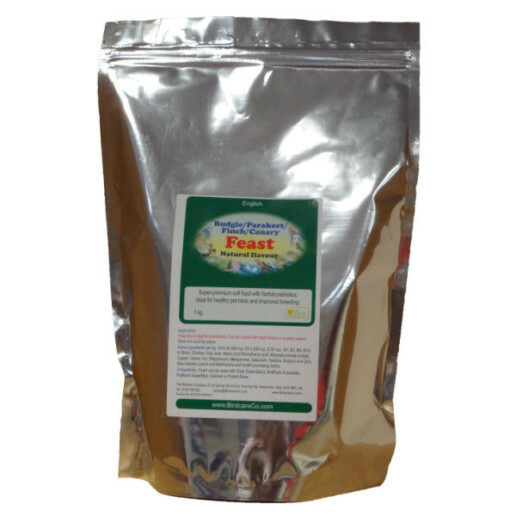 Throughout the rest of the year feed Emp every second day to ensure continued good health. 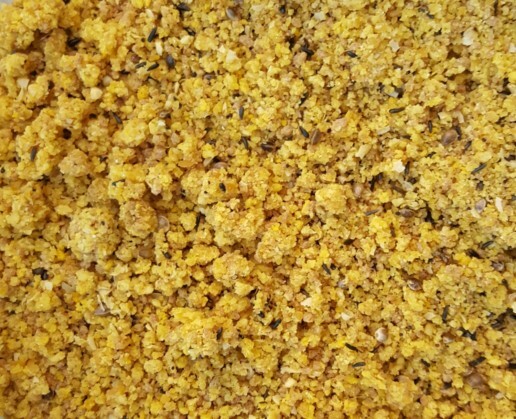 Mix a little water with EMP Egg Food until a soft, crumbly, pleasant smelling mixture is obtained. Do not use too much water. 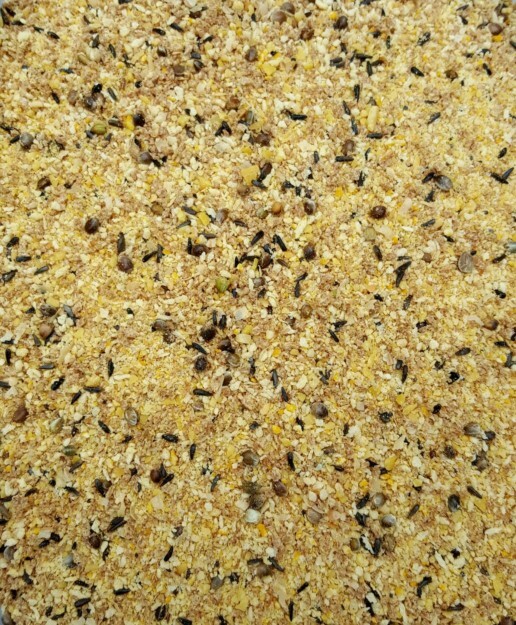 However, many bird keepers have their own method of feeding EMP Egg Food, adding grated carrot and/or added herbs is an example of this. 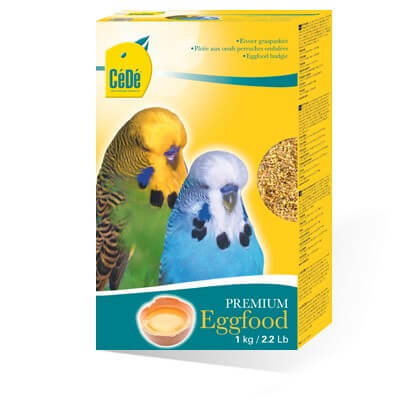 EMP Egg Food is a complementary Pet Food. 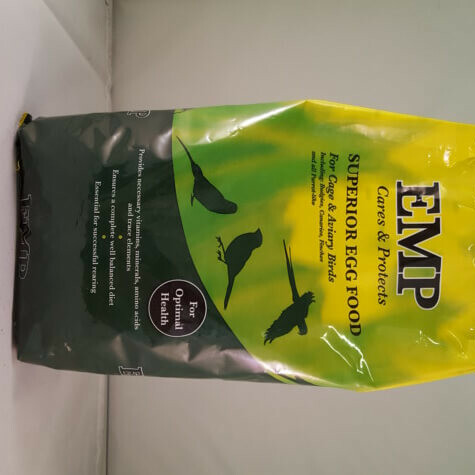 1kg of EMP Dry Egg Food. African Grey, Amazon, Budgie, Caique, Canary and Finches, Cockatiel, Cockatoo, Conures, Eclectus, Lovebirds, Macaw, Meyers & Senegals & Quaker.